Please visit our website HERE for more information on SCT, what it is, how it works and can benefit an array of individuals and oil & gas companies. Make sure to download the SCT Brochure on our website while you’re there. We are finalizing our “demonstration area” at our head office in Nisku, AB and will be inviting everyone to come out soon to see this new technology in action! If you are interested in learning more please contact us directly. We can send brochures, have a lengthy phone call or the best option; why not have us come to you and put on our presentation for SCT! Protecting your people, the environment and assets is a top priority for all companies. At 3-D we provide Integrity Management Solutions for our clients to help them manage their assets by reducing the risk of structural failures on critical infrastructure projects. This includes the Pipeline, Oil & Gas, Industrial Plant, Tailings Ponds, and Power Line industries. Integrity Management helps ensure our clients can attain full operational quality from their equipment by the maximizing a project’s lifespan. Our solutions are proven and assist our clients in realizing full value on their investments. 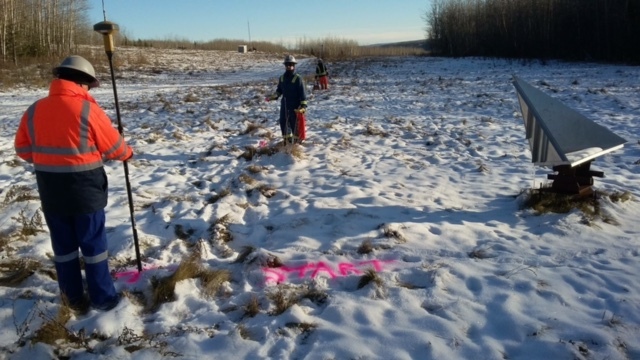 Our pipeline integrity management program implements fibre-optic sensors which provide high resolution measurements that can detect small leaks, subsidence, deformations, and/or other movements or failures. They monitor the health of the structures and materials of pipelines, tank farms, tailings ponds and many other infrastructure in real time 24/7/365. The key is to identify issues when they are small – before they produce a catastrophic result for the owner and the public. Providing Integrity Management solutions has been a natural progression for 3-D. Our history has seen us provide more than two decades of underground line locating services on major pipeline, oil & gas, and transportation infrastructure projects. In this role, we provide ground disturbance services allowing the construction to proceed safely. With the move to providing Integrity Management Solutions, we are now able to assist our clients during the operation of these same projects. Integrity Management further extends our partnerships with our valued clients through all stages of construction, operations and decommissioning. This collaboration benefits many including company shareholders and management, local communities, the government, the public at large and the environment. Integrity Management include Leak Detection, Plant Sites & Tank Farms Monitoring, Subsidence Monitoring, and Tailings Ponds. The placement of tank farms near populations carries with it a great responsibility to safeguard people in the area from equipment failure. Using the Roctest system, vessels which are used to store oil, gas, natural gas, and LNG at tank farms, can be wrapped in fiber optic cable to identify hot/cold spots in their tanks. Linked through our sensors to SCADA systems, these hot/cold spots indicate areas on a tank or pipeline which need to be examined and monitored. By looping the fiber optic cable around the vessels and pipelines, up to 500 zones can be formed, all of which can be monitored 24/7/365. 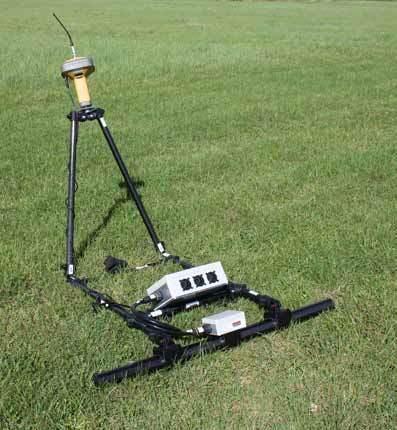 This system can also be put in place to monitor the entire site. 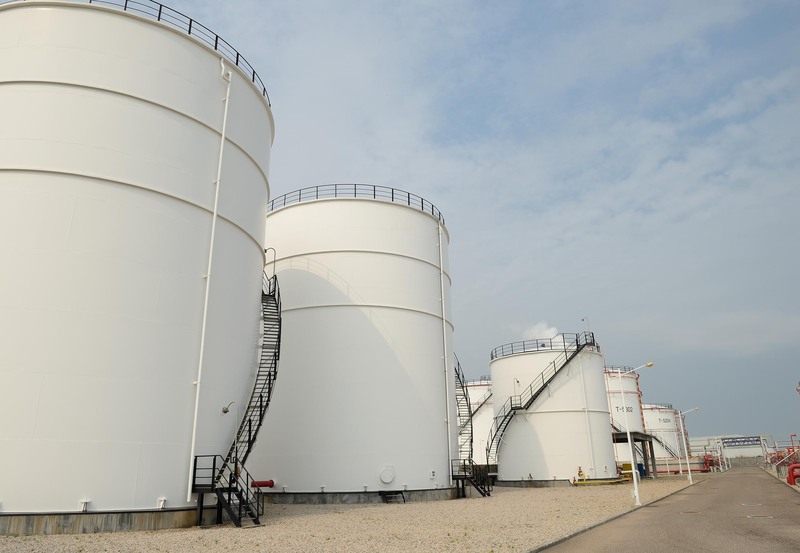 Over the course of the lifecycle of a tank farm, it is crucial that the vessels at these storage facilities have continuous monitoring to ensure the safety of the people and communities. 3-D is also an industry leader in Line Locating Services. For information on our Line Locating you can go to our website or read our FAQ post. Follow us on Twitter and LinkedIn and stay up to date with what we are working on and all the latest news in our industry.